Android-based rugged devices by Zebra Technologies are widely used across the globe. They are purpose-built to streamline on-field operations. Zebra’s partnership with 42Gears allows enterprises to control, secure and manage these Zebra Android rugged devices using its signature EMM solution – SureMDM. 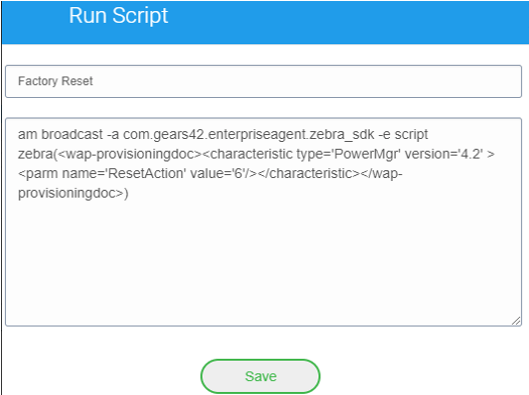 42Gears has created distinct scripts to manage the above-mentioned features on Zebra devices. Admin can simply apply these scripts as jobs on their devices using SureMDM. How to create a job with a script in SureMDM? 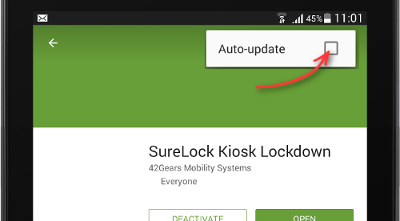 Note: The script in the steps is to remotely wipe and factory reset the device. To view a list of scripts, click here. 1. Login to SureMDM Web Console. 4. Select the OS platform as Android. Once done, the device will automatically get factory reset. 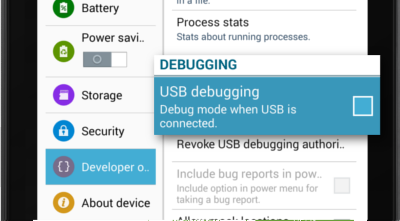 You can follow the same steps for remotely applying the other above listed peripherals settings on Zebra devices just by changing the scripts. Click here to view a list of all SureMDM scripts for peripheral configurations supported on Zebra Android devices.